If you've been following this blog, by now you have the background. Just six months after the attack on Pearl Harbor, sixteen of the Army's medium-weight B-25 bombers left the deck of the carrier U.S.S. Hornet—a feat never attempted before or since. They deployed their payloads on Tokyo and other key targets on the Japanese main island. 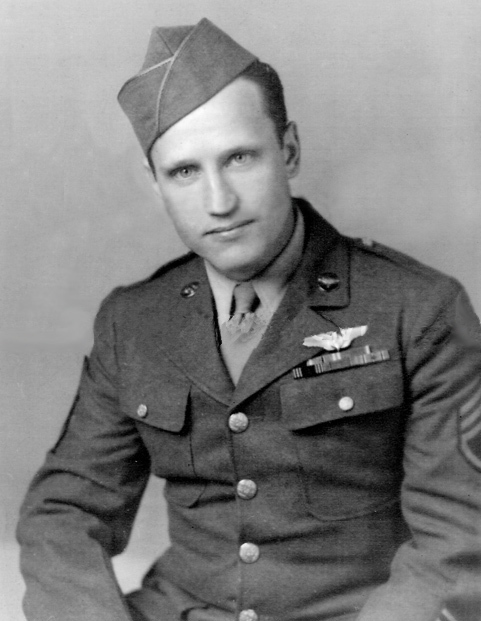 While the mission achieved its military objective, due to a communication breakdown the sortie left seventy-two of the eighty airmen stranded in enemy-occupied China. Eight men—the crew of Plane #16, the Bat Out of Hell, and the three survivors of Plane #6, the Green Hornet—were captured by the Japanese. 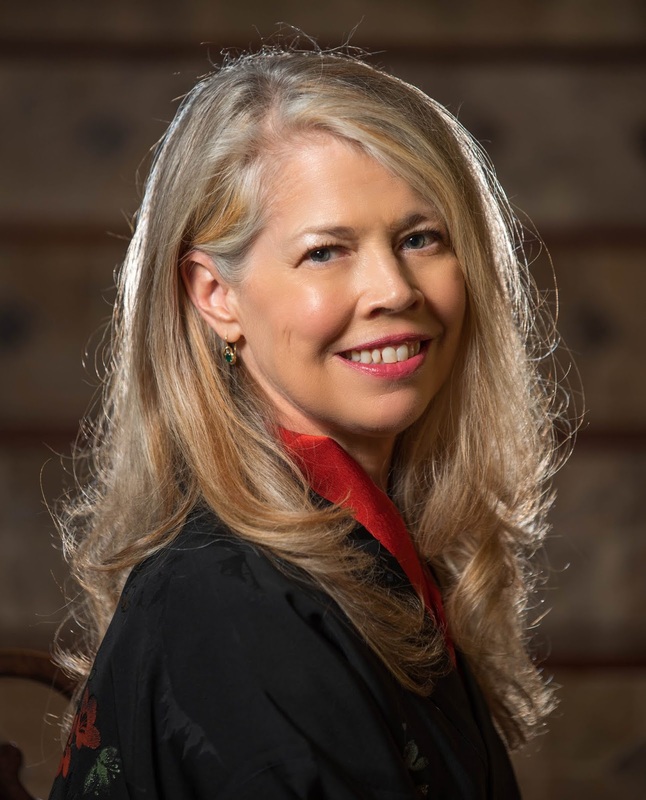 … for forty long months, 34 of them in solitary confinement. We were imprisoned and beaten, half-starved, terribly tortured, and denied by solitary confinement even the comfort of association with one another. Three of my buddies were executed by a firing squad about six months after our capture and fourteen months later, another one of them died of slow starvation.… The bitterness of my heart against my captors seemed more than I could bear. Sadly, of those eight men, only four came home. I’ve summarized the rest of their story, and how God used that tragedy for His glory, here and here. On the morning of August 15, 1945, the entire population of Japan… were told that at noon they must stop whatever they were doing and listen to the radio…. What the people of Japan heard that day at noon was not just unexpected, it was unimaginable…. A voice spoke—a voice they’d never heard before…. It spoke an odd form of Japanese, a dialect hundreds of years old that very few could understand clearly. For the first time in the history of the Chrysanthemum Throne, the emperor was speaking directly to his subjects. In this indirect language, the people of Japan learned of their nation’s surrender. But while jubilation filled the streets of America at the news, it posed a serious question for the more than 80,000 Allied P.O.W.s still in Japanese hands, and for the captured Doolittle Raiders. 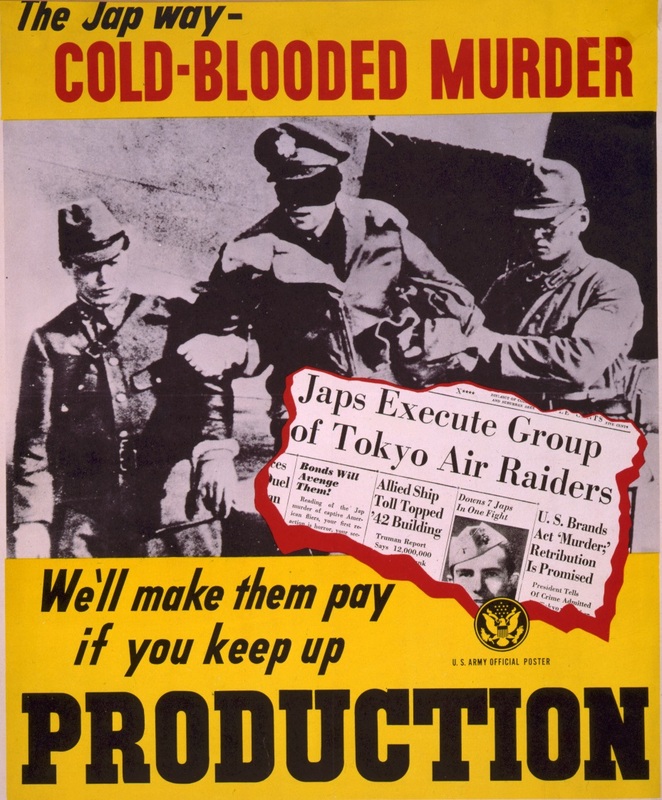 The Japanese had regularly and publicly announced that, if they lost the war, they would kill every Allied P.O.W. under their control. The P.O.W.s were well aware of this policy. This so-called “kill-all order” was no joke. It had in fact been enacted on a few occasions when the Japanese surrendered ground: on Wake Island and on Palawan Island in the Philippines. How to ensure the order wasn’t carried out on a massive scale at the Japanese’ final surrender? This challenge was assumed by the Office of Strategic Services (O.S.S. ), the predecessor to the C.I.A. In the months preceding the surrender, the O.S.S. conducted painstaking research into the locations of Japanese prison camps. Immediately after the surrender, bombers began dropping cartons of supplies into the camps. On August 17, 1945, just two days after the surrender, seven O.S.S. operatives parachuted onto an airfield in Beijing, China. They were surrounded at once by enemy soldiers brandishing rifles, bayonets leveled. “The war is not over yet,” the Japanese lieutenant responded, and ordered the Americans onto a truck. The lieutenant’s stance was echoed by his superiors. Two anxious days passed before Major Nichols’ hard-nosed insistence produced the desired result. Hundreds of P.O.W.s were released from their cells and bussed to hotels in Beijing. However, one set of prisoners were not released along with the rest. The eight captured Doolittle Raiders had been convicted in a kangaroo-court procedure and given special status as “war criminals.” The Japanese had no intention of releasing them. But praise God, the veil of secrecy behind which the surviving Raiders were held had its chinks. Starting in early 1944, the Raiders were able to exchange messages with a group of U.S. Marines including Commander Scott Cunningham. The messages traveled etched into the bottom of the tin cups that made their rounds through the prison meal service. Upon his release from the prison in Peiping, Commander Cunningham was quick to spread the news that four of Doolittle’s lost crew members were alive and still in prison. …Cunningham was sure they would never be released… Major Nichols showed Japanese officials the results of his P.O.W. debriefings. He demanded they confess fully to their crimes of torturing, starving, and killing their captives. After confronting them… he demanded that they release the “war criminals” at once. We were not what you would call religious men before we were captured.... [But in prison] we were given the Bible to read. We found in its ripped and faded pages a source of courage and faith we never realized existed. The verses we memorized as children suddenly came alive and became as vital to us as food. We put our trust in the God we had not really accepted before and discovered that faith in His Word could carry us through the greatest peril of our lives. Corporal DeShazer, the former bombardier of the Bat Out of Hell, was transformed by what he read in the Bible. Upon his release, Jake rushed to earn a Bible degree from Seattle Pacific College. In 1948, he returned to Japan with his new bride, Florence, as Free Methodist missionaries. The couple ultimately settled in Nagoya, the very city Jake had bombed during the Doolittle Raid. Their thirty-year ministry in Japan bore fruit in twenty-three church plants and in countless changed hearts. This time I was not going as a bombardier, but I was going as a missionary. How much better it is to go out to conquer evil with the gospel of peace! I finally get to give away my own book!! 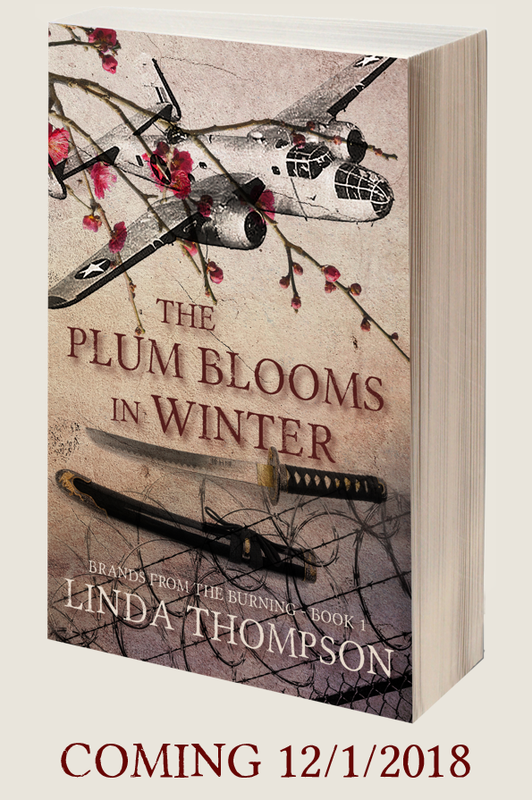 The Plum Blooms in Winter, inspired by a true story from the Doolittle Raid, will be available for pre-order this week. I'll randomly select someone who comments below to receive a complementary copy! The order will be fulfilled on 12/1. Thank you! I would absolutely love to read The Plum Blooms in Winter. I have so enjoyed all the posts about the Doolittle Raiders. Thank you for this wonderful opportunity. Hi, Melanie! My pleasure, and thank you very much for the encouraging comment! 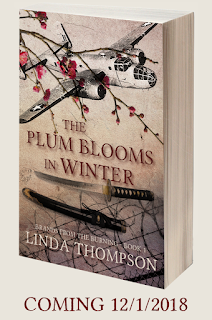 Linda, The Plum Blooms in Winter is a book I definitely want to read. 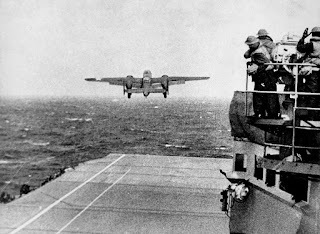 I've enjoyed the posts on the "Doolittle Raiders". Cop. Jacob DeShazer story I read when I was younger since he was missionary with the Free Methodist church, which I was deeply involved in as a teen. Blessings on your new book. Thank you for the giveaway. I have been so intrigued following the Doolittle blog posts. I have always found that Part of our history so moving. Thank you for sharing all of it. Hi, Susan! Thanks so much for your interest in the Doolittle Raid, and in my book. Please leave your email address if you'd like to enter the giveaway! (I guess I forgot to specify that... :( ) Thank you! This has been a wonderful history lesson about these brave men. Thank you and Cindy for sharing it. The Plum Blooms in Winter sounds amazing! Thank you for the opportunity. This sounds very interesting. Thanks for the giveaway. Hi, folks! Just dropping in to let you know that Caryl won the novel. Congratulations, Caryl, and I sincerely hope you enjoy the read when it ships on !2/1. :) Thanks to you all for commenting!